Dinner with the Doctor - Can I live to 100? Can I live to 100? The Okinawan Japanese and Seventh-day Adventists in the United States are among the longest living and healthiest people groups in the world. They have some of the highest rates of centenarians in the world. 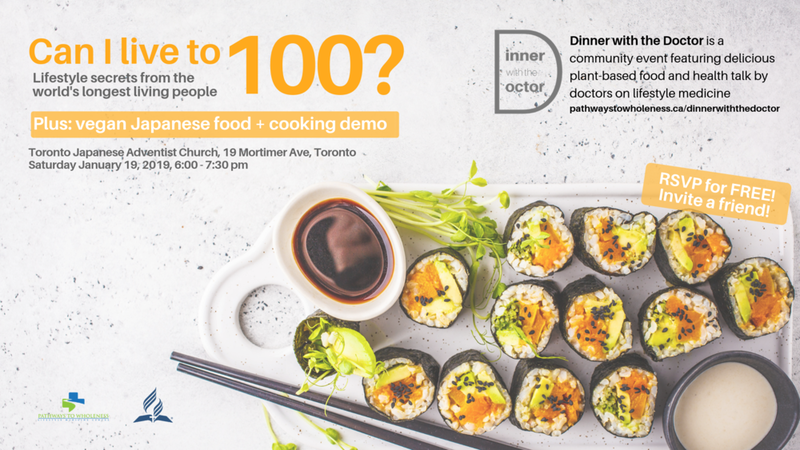 Join us for delicious plant-based Japanese food and to learn what gives these groups such long vibrant health! RSVP today! Limited spots available!